Looking for something sober and awesome for day wear? Try our cotton fabricated Day Buddy. The colour scheme, off-white with blue is apt for daytimes and the silhouette is practical to carry the whole day. 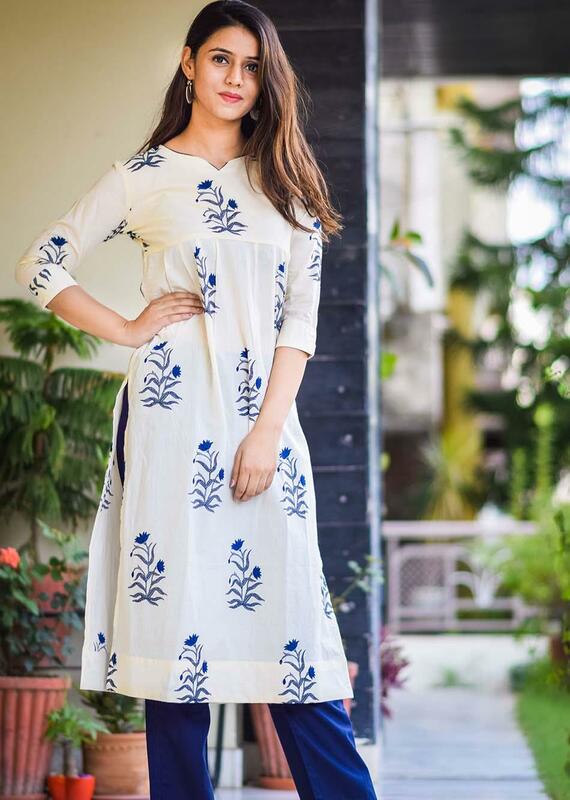 It is an elegant kurta with floral hand block prints, three-fourth sleeves, notch collar and length till knees. The pleated pattern of it attracts the eye while the ankle length pant marks the style.